The night sky and gorgeous landscapes offer some incredible opportunities for beautiful nightscapes, parts of which may not even be visible to the naked eye. 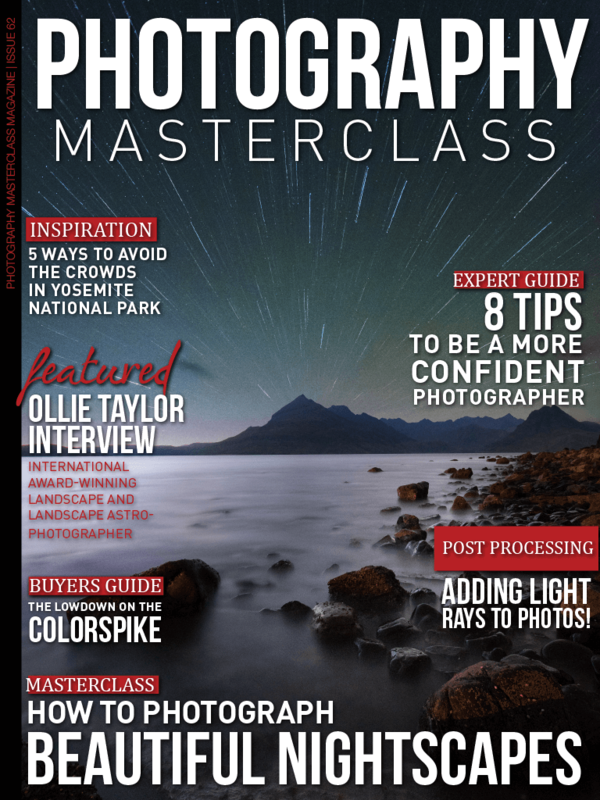 Being away from the city glare, and with the advancements in camera technology, in this issue we show you how to really show off nightscapes to their full potential. + If you've ever been to Yosemite National Park and been frustrated with the crowds, we give you 5 ways to avoid the crowds to have a better, have a more peaceful visit to the park to come away with more beautiful images. + Whether youve just started out in photography, or been shooting for years, it can be hard to always have confidence in your work. We share 8 tips on how to be more confident as a photographer. + We interview Dorset-based international award-winning landscape and landscape astrophotographer, Ollie Taylor. + We feature a handpicked selection of our favourite photos in our Editor's Choice section. + You'll learn how to add realistic light rays to photos in Photoshop in a great video tutorial. + We showcase an incredible timelapse that wanders through the contrasting wilderness of Alaska, North Carolina, Georgia and California. + We also give you the lowdown on the Colorspike – an amazing device to add animation-driven light to your photos and videos.